Charles Henderson has volunteered at Calvary since 2014 as one of our dedicated meal volunteers. He regularly serves delicious food (such as fried chicken, tuna salad, and potato salad) as well as refreshing drinks to women at Calvary. He’s always very welcoming and pleasant with the residents as well as staff. On top of that, we really appreciate Charles’s flexibility, as he is always ready to jump in for different meals on different days, including hard-to-schedule meals around holidays. This is tremendously helpful in filling Calvary’s busy meal schedule. 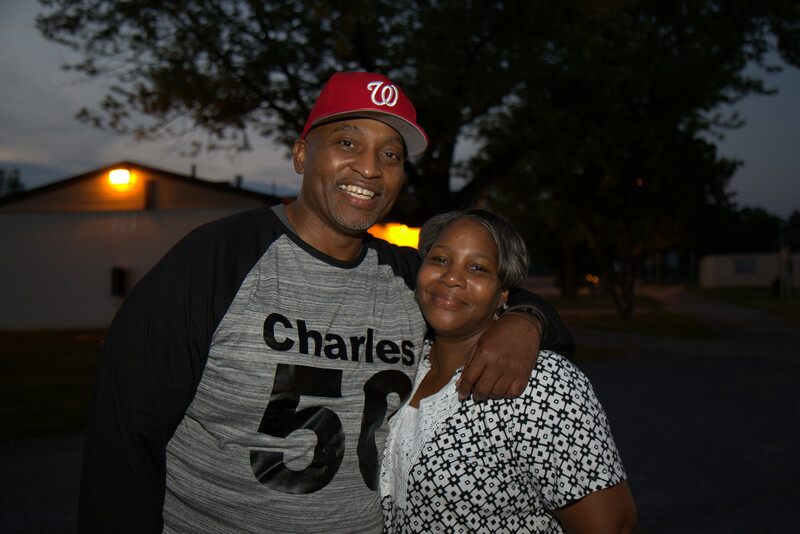 Charles and his partner Candace, who’s very attentive with the women, make an amazing team. They always play good music to get everyone in the mood to eat good food. 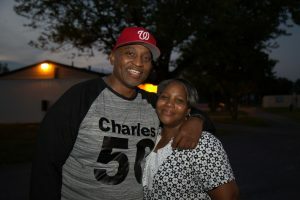 It comes as no surprise that they recently threw a 4th of July cookout for the women at Calvary and did a wonderful job. The hot Italian sausages off the grill were just perfect. We try to prepare a dinner meal once a month. We have always tried to feed the homeless and wanted to find a group where we could volunteer to help out with meals. We enjoy being able to serve. It is such a joy to spend time with the women and have a good meal at the same time. The ladies. They are a pleasure, as well as the staff. Providing a Christmas Eve meal as well as doing cookout food in the summer for a holiday meal (Labor Day and 4th of July). Receiving so much love when we come to serve a meal. The ladies are so gracious, accepting, and thankful. That it is a blessing to pay it forward, and that the joy of interacting with the women and getting to know them is a great experience. Acceptance. Calvary and its residents accept our small offering and let us be of service to them.